In general, early fixation of isolated fractures is advantageous for treatment outcome. However, in multiple injured patients, other priorities and treatment strategies are mandatory. In these patients, the consideration of factors affecting the outcome of fracture management is essential. This chapter provides an overview of the assessment of open and closed fractures and their associated complications. Specific attention has been dedicated to soft tissue injuries. 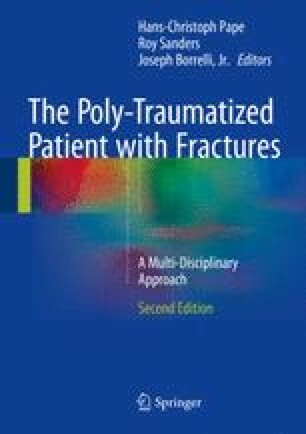 Moreover, fracture management in regard to fracture location, serial injuries, and clinical parameters (stable, unstable, and borderline) is elucidated. Concomitant injuries may complicate the decision-making process. Therefore, surgical priorities in the presence of additional head, chest, and pelvic injuries are addressed.